If you’re looking for dreamy drawings, sweeping dresses and whimsical characters, look no further than Sara Tepes’s Instagram page. 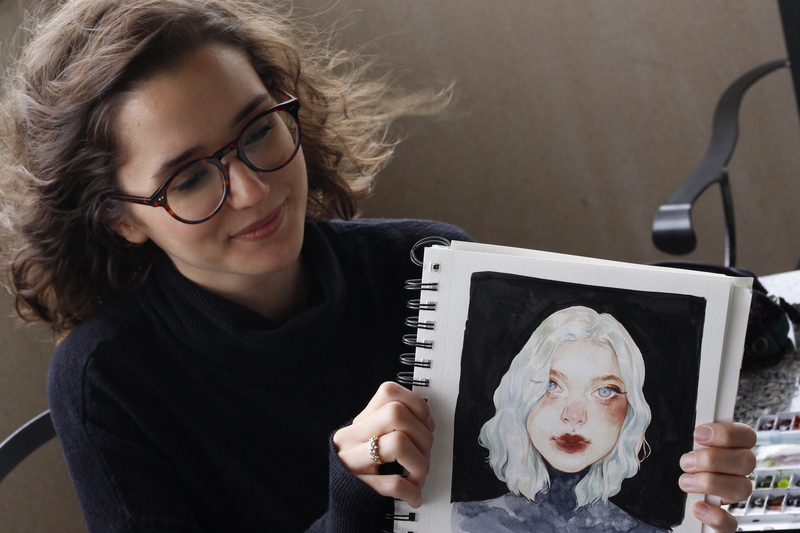 Tepes, a Liberty University sophomore, has seen her social media accounts skyrocket in popularity since she shared her work on both Instagram and YouTube. “I’ve been drawing since I was very small, but when I was 6 years old, art really became my thing,” Tepes said. 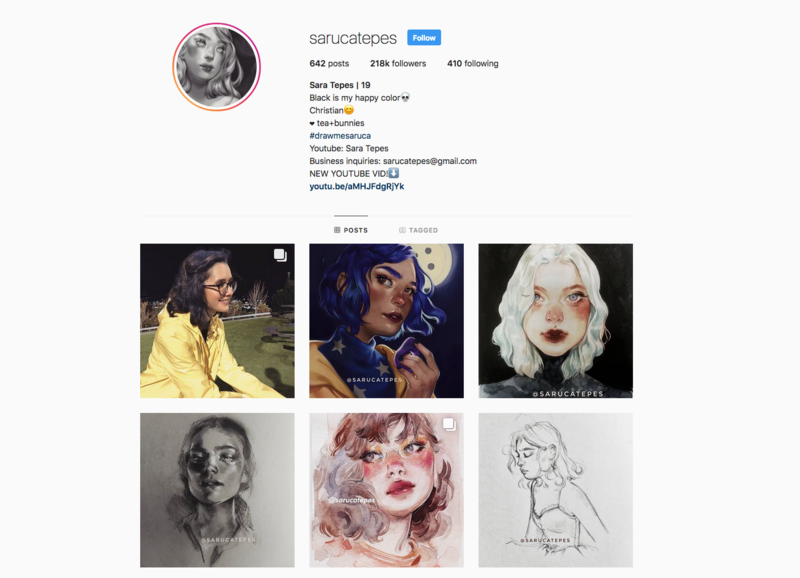 Tepes began drawing when she was 6, and now posts art tutorials on YouTube. “It wasn’t just that I wanted to share my art, it was that I needed to share my art with my followers because they were expecting it,” Tepes said. This idea of using social media as a tool to market a personal brand isn’t foreign to the artists at Liberty. AnnaClaire Schmiedel, a senior graphic design major, explained that for many artists, it is essential to have a long-term social media reach. “I feel like today there are so many opportunities to make a career out of something that’s not seen as a traditional career, and social media provides one of the biggest opportunities for that,” Schmiedel said. Schmiedel added that job opportunities and valuable connections with peers can come through using social media efficiently, and says it is more important than ever to learn how to navigate this asset. Tepes explained that so many aspiring artists get caught up in follower counts that they forget their own style. “I think if you focus on the fact that you’re passionate about art, that’s important,” Tepes said. She described how artists can grow their accounts by using hashtags, building real community with their followers and taking care to post the highest quality images of their work possible. Knowing what content to share on social media can be difficult. Tepes explained that many artists can get caught up in posting their political beliefs on their pages, and it can sometimes be exhausting. To her, it is much more important to show the love of Christ, rather than her political stances. Tepes shares art with thousands of followers. Tepes explained that although she has accumulated lots of followers, there are many who criticize her work. This doesn’t bother her much anymore – Tepes has been a committed artist for years now. “When I want people to come to my account, I want them to kind of have peace and let the stuff that’s turbulent go,” Tepes said. Instead, art is a way for her to express that beauty can be found in anything – that’s why Tepes loves to experiment by combining romantic, feminine themes with darker, mysterious ones. Tepes explained that this idea of beauty everywhere is a sign of God’s love. For her, that’s the most important theme to convey. “I think in my future career, being a Christian and an artist should help me love people more and be able to reach out to them through art,” Tepes said.